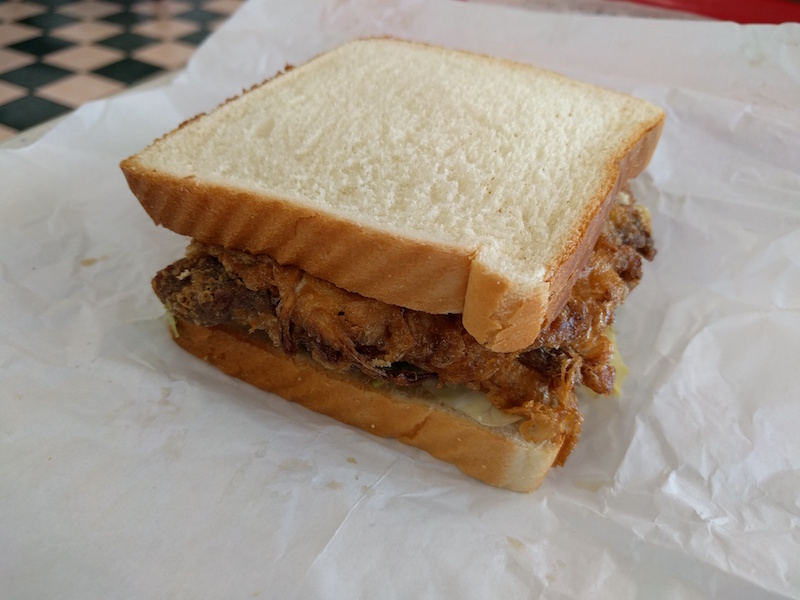 On my last visit to St. Louis, I had the St. Paul sandwich at Old St. Louis Chop Suey. 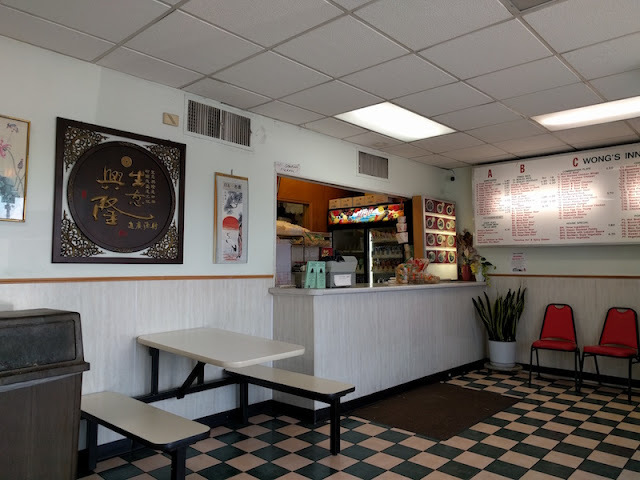 This time, I tried the one at Wong's Inn Chinese Restaurant. So what's a St. Paul Sandwich? 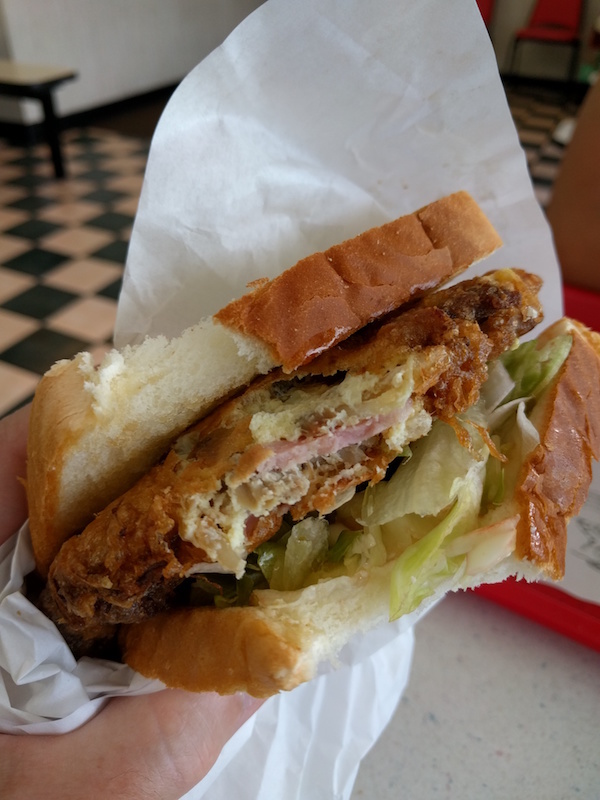 It's egg foo yong shaped into a square, and then put between two slices of white bread along with mayo, lettuce, and pickles. The egg foo yong can be all veggies, or with beef, ham, and shrimp which is what I had. It's a St. Louis specialty for sure! Now, I will be the first to say it's not a very attractive sandwich. In fact, it looks like someone barfed into two pieces of Wonder Bread. But don't let its looks put you off. This is a great sandwich. I discovered the St. Paul sandwich in my favorite road food trip book called 500 Things to Eat Before It's Too Late by Jane and Michael Stern. Get your copy for your next road trip. Looks pretty yummy! Interesting treat, I wouldn't have thought of it.